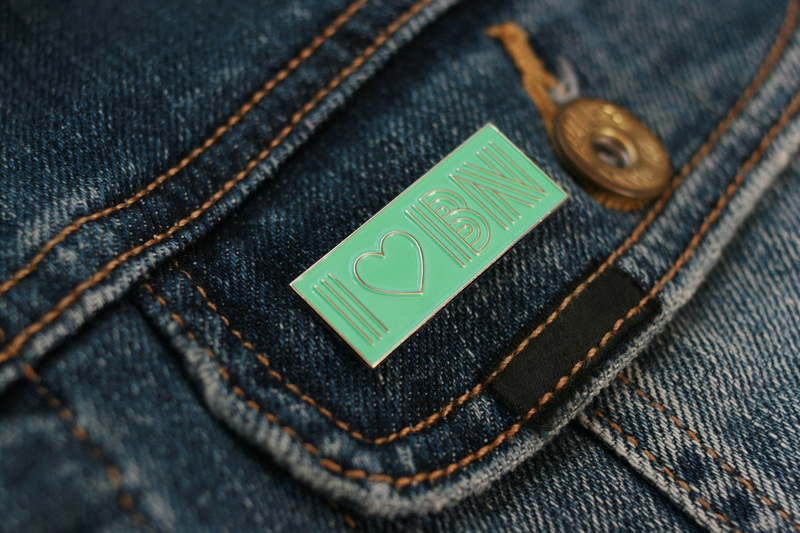 Using the proceeds from the first wave of Co-Op Shop t-shirts, we made a pin! 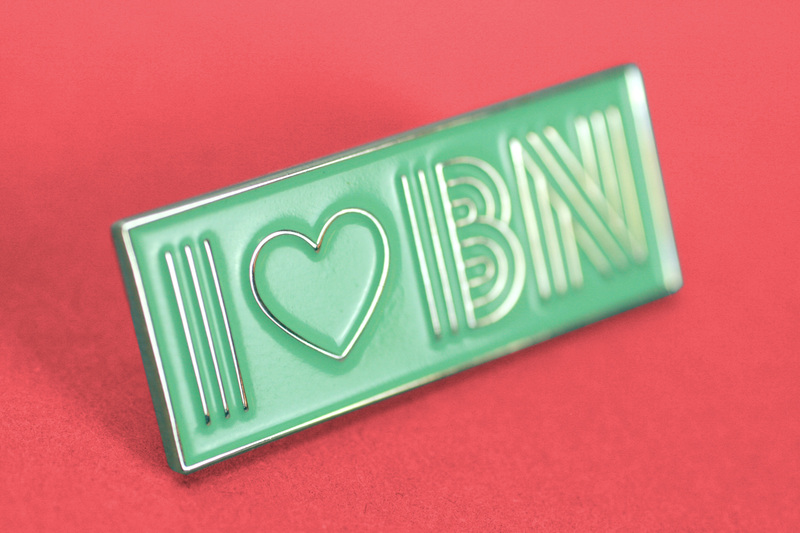 Display your appreciation for Brand New with this modest, one-and-a-half-inch-wide, gold, soft enamel pin with our 3-line monogram and a single-line heart dipped in the blog’s key hue, Reviewed Mint Green. 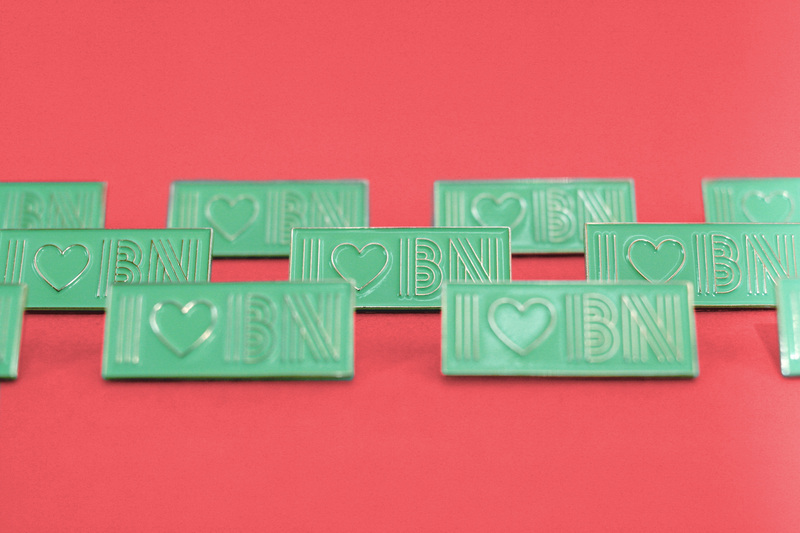 Available from our Cotton Bureau shop for $10 + shipping. A few more pictures below. Buy now from our Cotton Bureau shop for $10 + shipping. 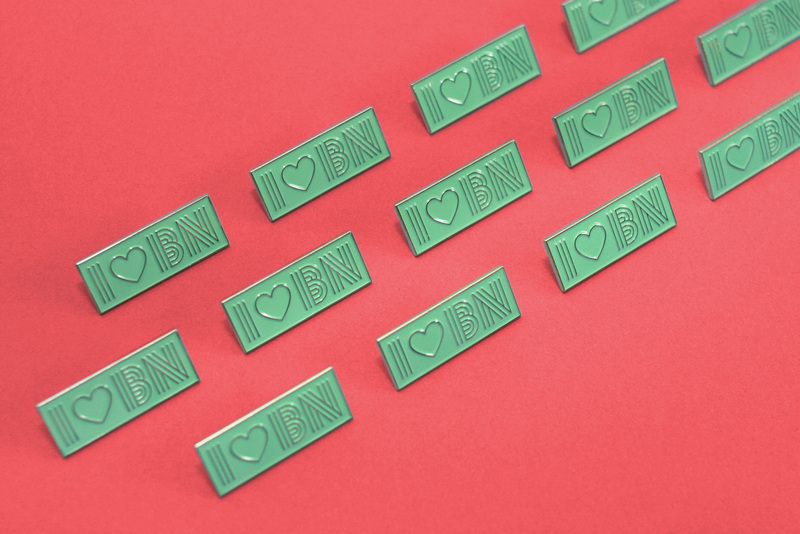 Display your appreciation for Brand New with this modest, one-and-a-half-inch-wide, gold, soft enamel pin with our 3-line monogram and a single-line heart dipped in the blog's key hue, Reviewed Mint Green. 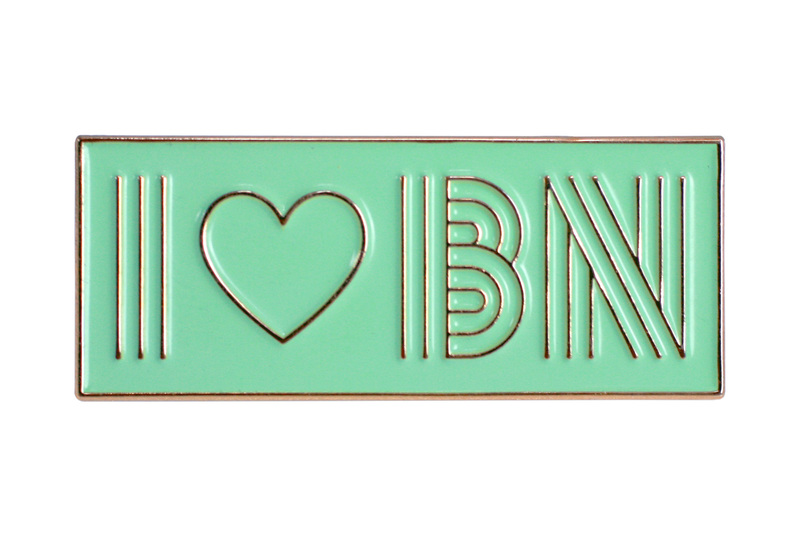 Available from our Cotton Bureau shop for \$10 + shipping. Buy now from our Cotton Bureau shop for \$10 + shipping.